Platform: Windows 7, 8, XP, 10 (32 bit), Virtual PC, 98, etc. Or DOS. DNAVIEW is the universally acknowledged authoritative world-wide standard for DNA identification. Leading paternity and crime laboratories have been using it since 1988. They appreciate not only the reliability and sophistication of the software, but also the authority that it represents  created and supported by Dr. Charles Brenner. DNAVIEW is more than a software package. It is better understood as an amalgam with a software component but also forensic mathematical expert support and as well interaction with the world-wide DNAVIEW User community. Analysis of many-contributor mixtures including dropout/-in (fully continuous), stutter. Also explores — considers various numbers of contributors and various combinations of references. despite being more thorough — uses mathematics, not MCMC. 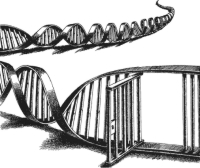 Kinship Simulation permits predicting the potential utility of DNA for a kinship problem. Applications include immigration casework in several countries; identifying Croatian & Bosnian war dead, Argentine orphans, SwissAir crash victims, World Trade Center victims. In September 2001 DNAVIEW immediately became part of the World Trade Center victim identification work; and was the main analysis tool for DNA identification. The screening module and the Kinship program are the essential tools for finding and verifying DNA identifications, especially those where the link is to living relatives. DNAVIEW has been widely used in both the Thailand and Japanese tsunami victim identifications, Hurricane Katrina, and is also used for other mass identification projects including desaparacito children from El Salvador and war victims in Bosnia, Mexico, Kuwait, Guatemala, Argentina, and Iraq to name a few of many instances. on-site training, typically 1+ weeks of interactive instruction but depending on which DNAVIEW features are of most interest. Maximum 5 students. exchange of DNAVIEW data bases via the DNAVIEW Users' Group. is thoroughly indexed and illustrated. DNAVIEW is in use at over 100 laboratories in six continents (Antarctica please come in).